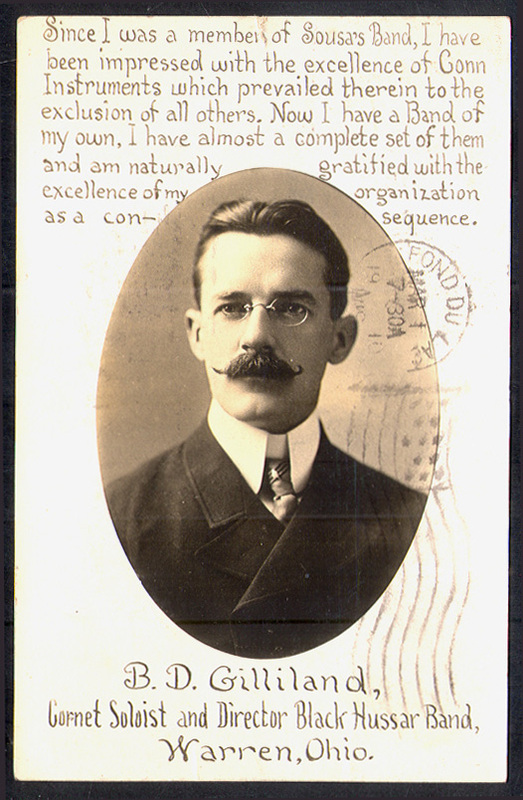 Nearly 100 years ago the Conn Instruments Company produced a number of these advertising postcards which featured prominent band leaders of the day. This one, of B.D. 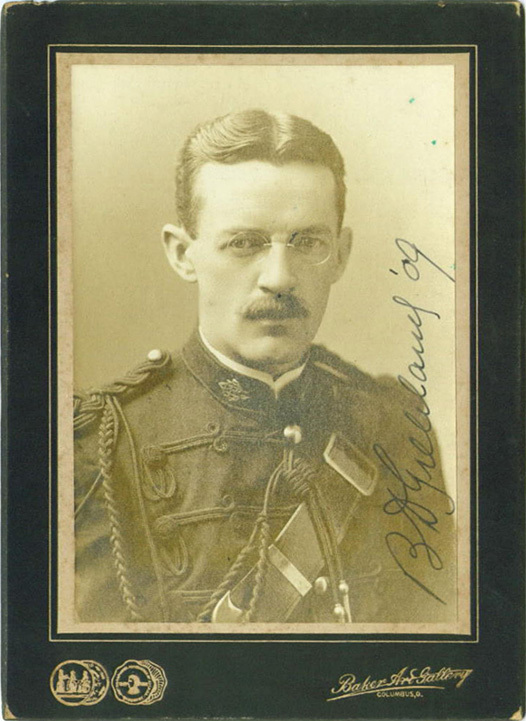 Gilliland, a former member of Sousa's band, is postmarked 1910. If anyone has any additional information on B. D. Gilliland drop us a line.